Over time, the ever-gazing eye of traditionalism has remained(for the most part) unwavering in it's view of the typical household door. Though not all is lost, for with decay bursts new life! 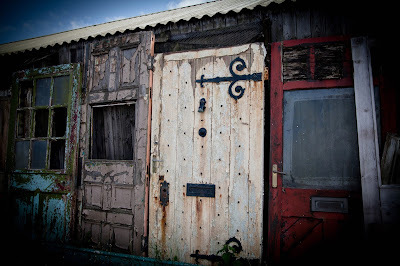 Distressed doors are the bi-product of aged and weathered period doors. With the passing seasons, they begin to blossom and unfold with layers of rich colorful history, showcasing the years that have gone before them. What could once be thought of as 'traditional' now takes on a whole new, modern edge.